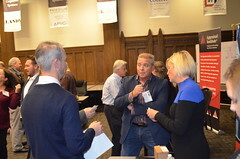 Over 300 Appraisers Attend ICAP’s 2012 Lisle Seminar! 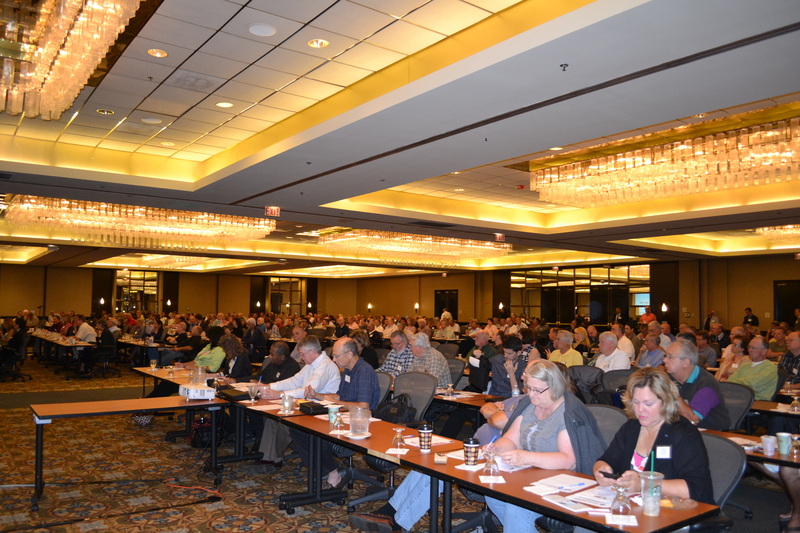 The August 13th ICAP seminar held at the Lisle Wyndham Hotel was a great success as measured by the 300 enthusiastic appraisers in attendance! They were treated to a fast-paced day covering a variety of topics of current interest. Are you thinking “green”? Well, if you weren’t prior to the presentation by Ms. Sandy Adomatis, SRA, you are (or, should be) now! Sandy alerted those present that not only is “green” coming, it’s here now. Though there is not a single definition of what constitutes “green” (i.e., homes and other buildings that are energy-efficient and provide substantial savings in energy cost), it is important for appraisers to have—at a minimum—a working understanding of the topic so as not to be unprepared when presented with that “green” assignment. Those in attendance have a head start vs. many other appraisers as Sandy advised that there are relatively few appraisers who have completed a “green” course. UAD—“the good, the bad, the ugly!” OK, these are not options under UAD, but, appraisers may feel that way as they work to communicate an UAD compliant appraisal! Rich Heyn, SRA, offered advice on maneuvering through the various fields which require reporting in a manner that satisfies UAD requirements. 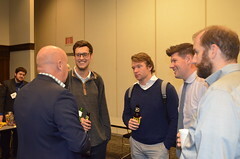 Rich alerted attendees that the fields presenting the most compliance issues are, first, the street address as well as fields in the sales comparison approach grid: location, view, design, quality of construction and condition. 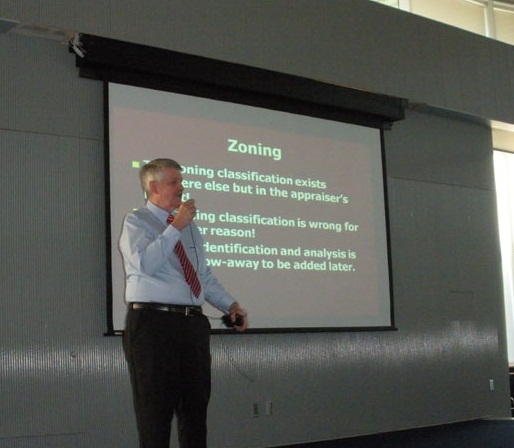 Mike Ireland, City of Bloomington Assessor, provided appraisers with valuable information regarding providing appraisals for use in appealing property taxes. From the assessor’s perspective, Mike shared insights as to what it takes to develop and communicate a credible appraisal for use in appealing real estate assessments. T.J. McCarthy, SRA, and Jim Blaydes, SRA, brought the attendees current on what’s current on the legislative front and the efforts that ICAP is making to ensure that the collective voices of Illinois appraisers is heard in Springfield! We were reminded that though ICAP represents us in Springfield, when matters of importance come before legislators, there is nothing more important than appraisers contacting—via telephone, letter, e-mail—their representatives and senators and making certain that thoughts be known! Bringing appraisers current with mobile technologies that can make their work more efficient and productive, Robert Smoote, Product Development Mgr., Apex—Appraisal Technologies, provided an overview of resources that are available to appraisers and a few of the pros and cons associated with various products. Techno-savvy or not, the presentation had something for all. 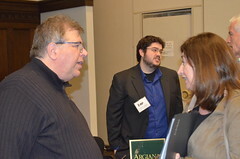 Brian Weaver, Appraisal Coordinator, IDFPR, State of IL, gave everyone an update of what now is important and affecting appraisers here in Illinois. On one matter, though the fact that the 400 complaints against appraisers in the past 12 months is a new high, it was pointed out that these complaints represent what is a distinct minority of all appraisers in IL. 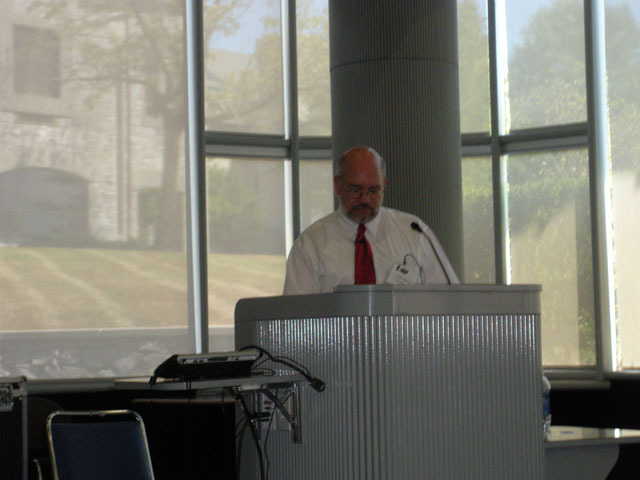 On August 2, 2012, ICAP presented Program 2 of their 2012 Illinois Appraisers Update Seminars. 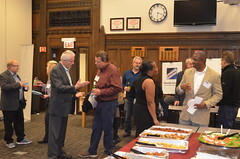 This year, approximately 50 attendees participated in the second annual seminar held at Lewis & ClarkCommunity College in Godfrey, Illinois. 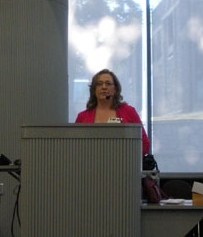 ICAP President, Tamara (“Tami”) Bellisario, opened the seminar with a brief description of the coalition. 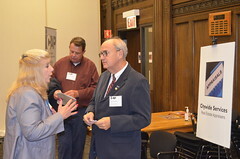 The Illinois Coalition of Appraisal Professionals (ICAP) was formed in 1994 between five appraisal organizations for the purpose of being a conduit between appraisers and the State. 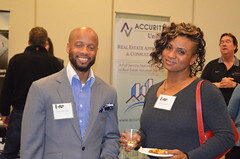 It was the first appraiser coalition in the United States. In part to ICAP’s work, currently 20 states have formed their own coalitions to work with their state legislatures. ICAP has earned a position of recognition, and today, ICAP opinions have weight and influence when new legislation is being considered. The ICAP Board of Directors includes 17 volunteer members, working on several different committees. Currently, ICAP membership is approximately 1800, or a little less than half of all IllinoisState appraisers. In 2012, a new ICAP website debute providing access to a variety of links pertinent to the appraisal profession. The topic, Guidelines and Requirements, presented by Lee Lansford, IFA, ASA, of Lansford & Associates covered current and recurring issues affecting Illinois appraisers. 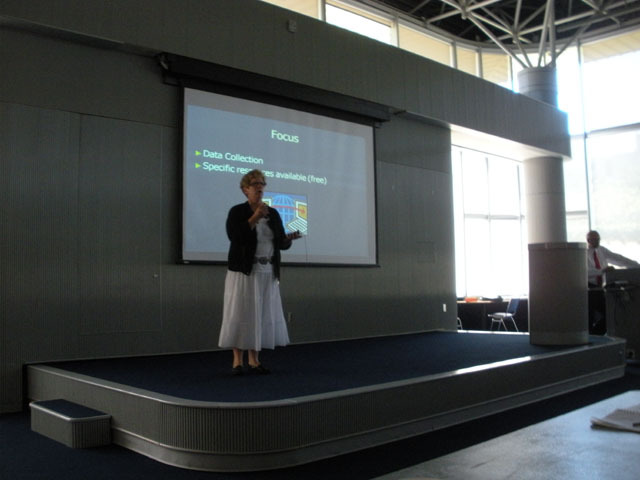 The purpose of Lee’s interactive presentation was to stimulate thought, and where appropriate to affect appraiser behavior in order to attain a professionalism based on a “best practices” principle. Lee reminded us that we get paid to communicate. We are professionals responsible for communicating a credible report. He asked us to consider if our communication (via the form report) supports our opinion? If not, how can we better communicate with our client? Lee covered hot topics of common errors and deficiencies seen in appraisal reports: Effective age versus actual age, use of FNMA forms for private appraisals, neighborhood descriptive comments, “best comps” available scenarios, zoning, data consistency issues between URAR and 1004MC forms, use of MLS photo images, importance of property inspection by signatory appraiser, GLA of subject property, cost approach applicability, work files, 2-4 flat market rent issues, BPOs, Scope of Work, and the differences between “guidelines” and “requirements.” Lee’s thoughtful and informative presentation also provided the attendees with insight in how to correct common errors and deficiencies. By applying a “best practices” principle to our work product, appraisers can re-establish with our clients the value of our professional appraisal services. Elizabeth Kern, IFAS of Frank L. McAtee & Associates discussed “Resources, Gathering and Presenting Local Economic Data for your Appraisal.” Elizabeth emphasized the importance of researching everything an appraiser should be considering in order to provide the client with the best appraisal possible. Asking us to ponder the questions, “Am I communicating in my appraisal report why I arrived at the opinion I did? Is my opinion supportable and credible? Elizabeth reminded us that as appraisers we should not just use MLS data, how demographic data will help our analysis, and provided specific resources that are available for free. 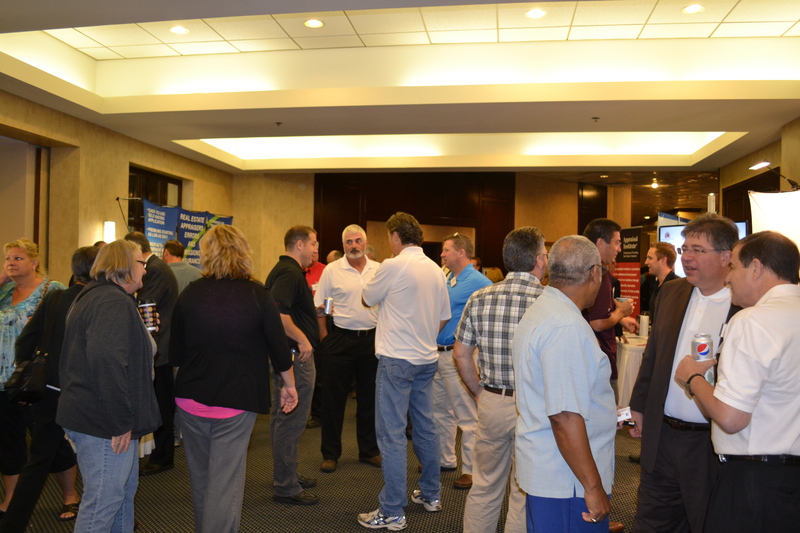 Give-away’s highlighted the morning breaks when numerous attendees received coupons to local eateries. Lunch was at large with many partaking of the college cafeteria’s diverse menu and out door veranda dining. A sunny and beautiful day the veranda overlooks the campus grounds and architecturally attractive buildings. The Godfrey campus is located on the 215-acre ground of the former MonticelloCollege, a small, private liberal arts college for women founded in 1838. The campus features sculptures and fountains, and includes a garden site of the Missouri Botanical Gardens. 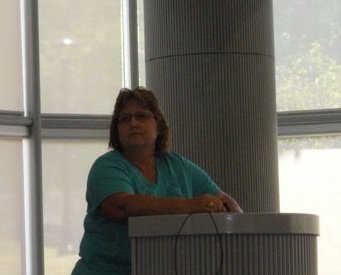 Deb Higgins, Senior Loan Officer, at Pulaski Bank started off the afternoon session. She addressed underwriting as it pertains to appraisal. Deb mentioned that the appraisal is reviewed two or three times before the underwriter ever sees the report. 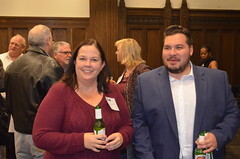 She reminded the attendees of the importance of consistency in their reports, the new FNMA UAD condition requirement, the importance of finding out up front what the concessions are, if any, concessions given after inspection, and cash back at closings. The Q & A portion of the presentation turned in to a rather lively debate. TJ covered the AMC Registration Act, the definition of an AMC and those considered exempt. He highlighted what constitutes a “bad” AMC, those interested in maximizing productivity rather than in the quality of work. Typically, they require quick turn times and low fees. TJ mentioned the AMC Act will require the AMCs to be licensed and help to provide consumer protection, develop industry standards, provide customary and reasonable fees for appraisers, help to eliminate scope creep and that competent appraisers are hired to complete appraisal assignments. Commencing on 1-1-2012, it is now waiting for the rules to be done and approved. The rules will provide Standards of Practice for the AMC, spelling out what they can and cannot do. Once approved, AMCs must register within Illinois. We are approximately eight to nine months away from the rules being completed. The Appraisal Board has a new chair, James Blaydes, for the fiscal year end 2013, and a new board member, Tony Uzemack, MAI. Jim is from the Peru area, and Tony from the Park Ridge area. Brian reminded us that appraisers in Illinois are now required to take USPAP within six months of any new USPAP release. Those who have not taken the update class, should do so ASAP. The Board will be disciplining those who have not complied when the CE audit is conducted at the next license renewal in 2013. 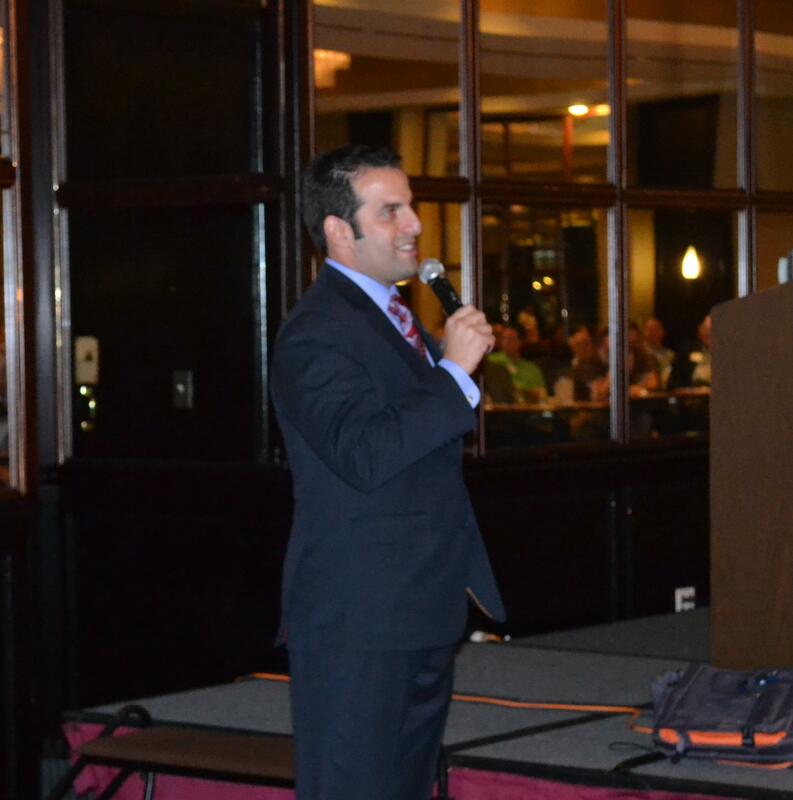 Brian also reminded those with multiple state licenses to keep track of their CE hour requirements by state license. This is to insure compliance as each state has different criteria and renewal dates. Complaints: Brian spoke about the lenders who lodge the most complaints and those who Brian never hears from. The percentage of Illinois appraisers who have complaints filed against them is the same percentage as seen across the country. The good news: 94% of Illinois appraisers are complaint free! Brain spoke of upcoming items: A new supervisor/trainee course by 2015, attempting to reduce the course provider fees from $1,050 to $200 with more Board control over content, Appraisal Port safe uploading issues, signature removal issues, JCAR two 45-day comment periods, Appraiser Rules, UAD, BPO problems, a state survey for C & R fees, and the continuing progress in updating the website at www.idfpr.com/dpr/re/appraisal.asp. Brian reminded us of the requirement to report timing on all market value assignments. He reviewed the fair housing and privacy laws regarding interior photos, religious decorations or personal artifacts as it applies to appraiser photos of the subject. He also issued a reminder that a certified residential appraiser cannot do an appraisal of a working farm. A certified residential appraiser can do “1-4 family with no regard to transaction value.” And always informative, Brian entertained us with his road trips and explained the definition of a “nooner” soil. Just down the road, (about a 10 minute drive in rush hour) on Homer M Adams Parkway, out of town attendees had accommodations at the Lewis and Clark Holiday Inn in Alton, IL. The facilities include an indoor pool, whirlpool, exercise facility, business center, restaurant, bar, and atrium. A buffet breakfast is included with each morning of your stay. Many thanks go to Lee, Elizabeth, Deb, TJ, Jim and Brian for providing us with their expertise and a great educational experience. 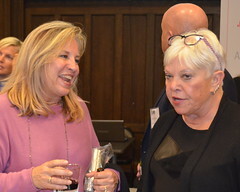 Many thanks go to ICAP President, Tami Bellisario, who traveled from LakeCounty in Northern Illinois to be on hand to meet and welcome all attendees. 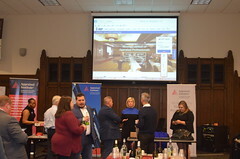 And last, but not least, many special thanks to Elizabeth Kern for arranging the details of ICAP’s downstate seminar, the venue, the speaker line-up, hotel accommodations, and hosting the seminar. 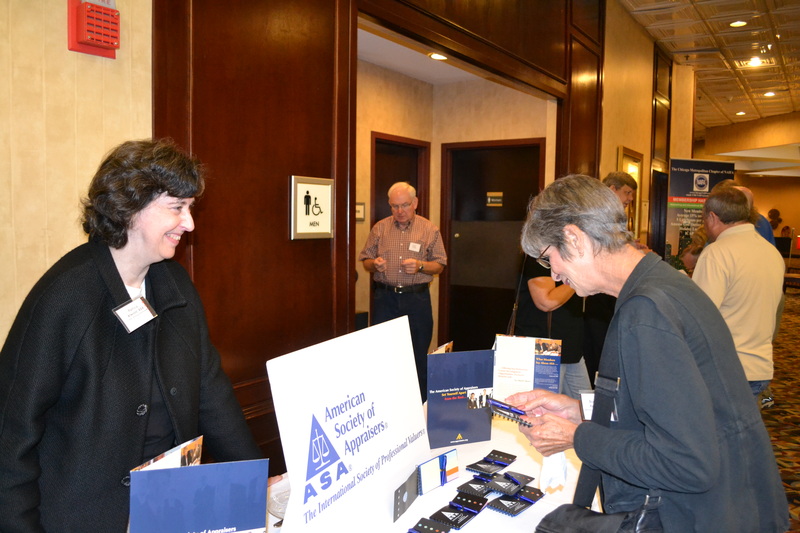 The Illinois Coalition of Appraisal Professionals (ICAP) announces its exhibitors for its Lisle Summer Seminar, August 13th 2012. 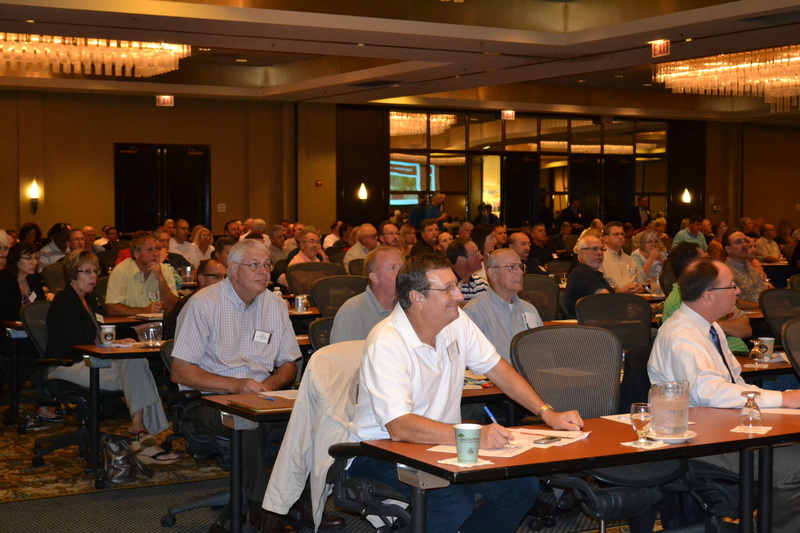 ICAP’s Lisle summer seminar will take place at Windham Hotel, Lisle IL, and for the second year it will provide a vendor showcase which will bring appraisers and appraisal service providers together. 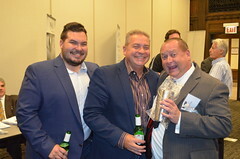 ICAP’s Lisle Seminar qualifies any Illinois licensed or certified attendee seven hours of continuing education and includes a free continental breakfast during the morning exhibitor hour (7:30 AM to 8:30 AM) and includes lunch during the afternoon exhibitor hour (12:00 to 1:00 PM). In addition, there will be crowd raffles and giveaways.